Did you ever try Fast and Furious 7 Jacket? it is the most eye-catching dress that will make your personality astounding. In fact “Furious 7” was an American film which was released in 2015. The attractive superstar Vin Diesel wore Fast and Furious 7 Jacket in the same movie. The film was an action movie and included in the list of blockbuster movies. 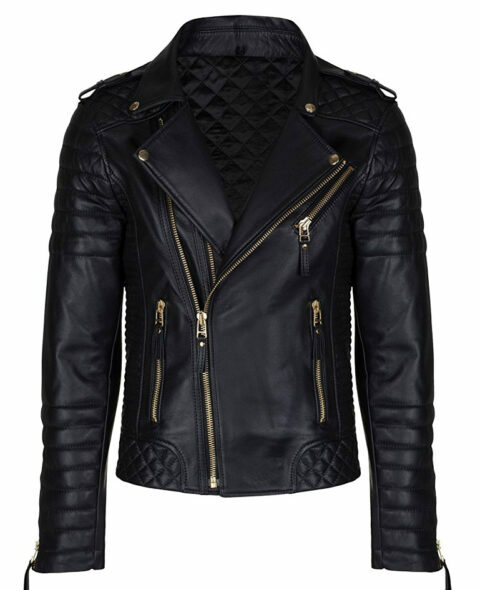 The outer shell of the jacket is prepared from genuine cowhide leather that is long lasting. The Dominic Toretto Leather Jacket has stand collar which makes you win some. The addition of quilted viscose inner lining gives you extra comfortable feeling when you wear Dominic Toretto Leather Jacket. The tremendous feature of the outfit is the presence of text “Fast and Furious” on chest, sleeves, and back. You will found two chest zipper pockets and two side waist zipper pockets in Dominic Toretto Jacket. The black and white sophisticated combination has given a charming look to the outerwear. The zipper cuffs are also given in it.